Because of its robustness, versatility and efficiency the Icelandic Horse enjoyed rising popularity all over the world during the last years. 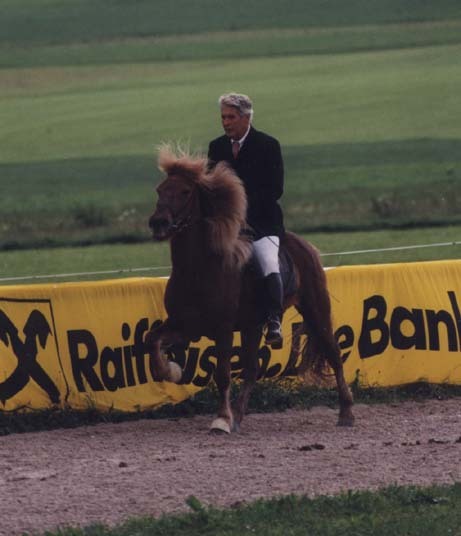 Due to its capability to carry heavy weights it possesses a characteristic, which many small horses miss: It is just as suitable for children as for adults.Despite its small size the Icelandic Horse is able to carry up to 250 lb on its back over large distances without any problem. 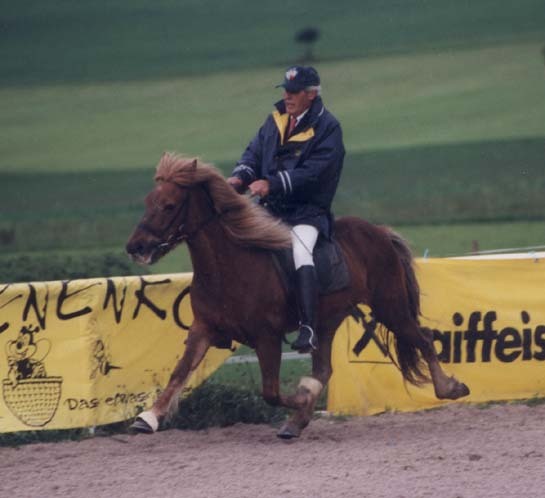 So it is not amazing that such a horse ist often ridden and enjoyed by the whole family. It is also a rather easy horse to keep and it is very frugal. 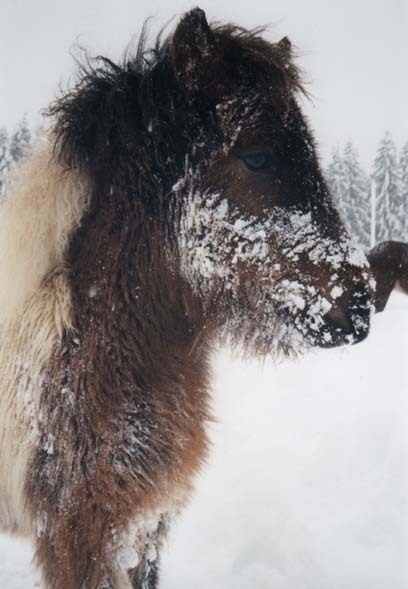 Originating from a country where the weather is rough and food is rare during most of the year, these horses are happy to be kept in the open, as long as some shelter is provided. Living within a herd and enjoying life like in nature is the base for their so well balanced temper and their willingness to give their best for the rider. 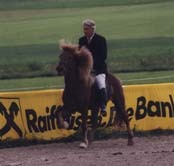 The most outstanding features of the Icelandic Horse are of course its gaits. Beside Walk, Trot and Canter most Icelandic Horses are able to perform Toelt and many of them even show Pace. Toelt is a four-beat gait with eight phases. The horse moves its left hindleg, then the left foreleg, the right hindleg and the left foreleg. So the Toelt has the same sequence as Walk but with different phases. The fact that the horse has always at least one foot on the ground makes the Toelt so comfortable. 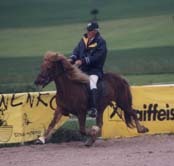 The rider can go at fast speed without being shaken. Pace or Flying Pace, the fifth gait is only performed on short distances. This is a lateral gait in which the horse moves one of its hindlegs and the foreleg on the same side nearly together at the same time. After a moment of suspension the legs on the other side are moved forward. A horse can go as fast as 40 mph with this gait.